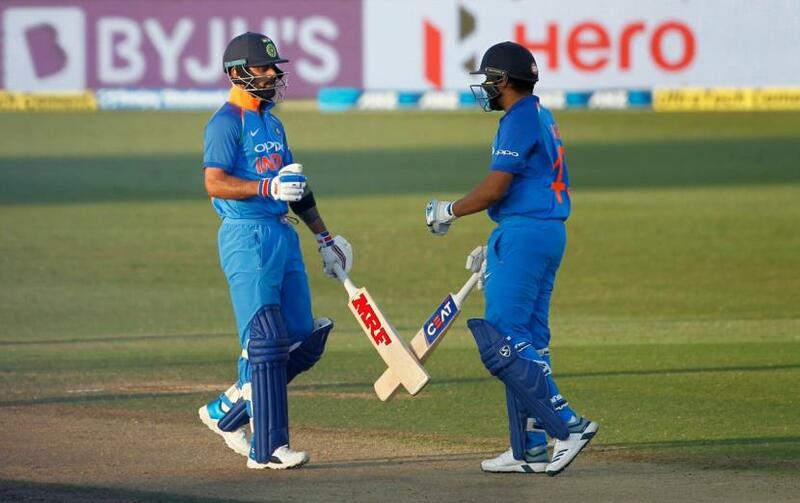 NAPIER: India comfortably beat New Zealand by seven wickets in the third One-Day International to take an unassailable 3-0 lead in the five-match series, here Monday. Ross Taylor top-scored for the hosts with a 106-ball 93, while Tom Latham hit a 64-ball 51. For India, Rohit Sharma (62) and skipper Virat Kohli (60) hit half-centuries. The fourth match will be played on Thursday in Hamilton. New Zealand: 243 all out in 49 overs (Ross Taylor 93, T Latham 51; Mohammed Shami 3/41, Hardik Pandya 2/46). India: 245 for 3 in 43 overs.